Michael Rhadeya Plasha has studied and contemplated the Yoga Sutras for over forty years. He has taught over 12,000 classes and is celebrating the 21st anniversary of his studio in Erie, PA. Certified in Integral Yoga Levels 1 and 2, Prenatal Yoga, and Yoga of the Heart. 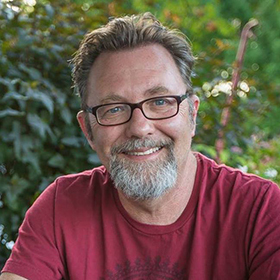 Michael is a former member of the Yoga Alliance’s Standards Advisory Committee and has given workshops nationwide on the integration of Hatha, Raja, and Tantric Yoga. He holds certification from the American Institute of Vedic Studies in Ayurveda and Yoga.